GameStop is now offering an exclusive lithograph artwork as a bonus for those who pre-order the Brady Games Strategy Guide for GTA 5 (either Signature or Limited Editions). Of course this is another "While Supplies Last" offer so hit up the links below or head to your local GameStop soon! Our maps cover every square mile of this enormous world that's bigger than Red Dead Redemption, Grand Theft Auto IV, and Grand Theft Auto: San Andreas combined. A Limited Edition Hardcover to the Biggest Title of the Year - First Ever for a Grand Theft Auto Title! Enjoy and remember to check out our GTA 5 Guides when the game releases for the most accurate info! 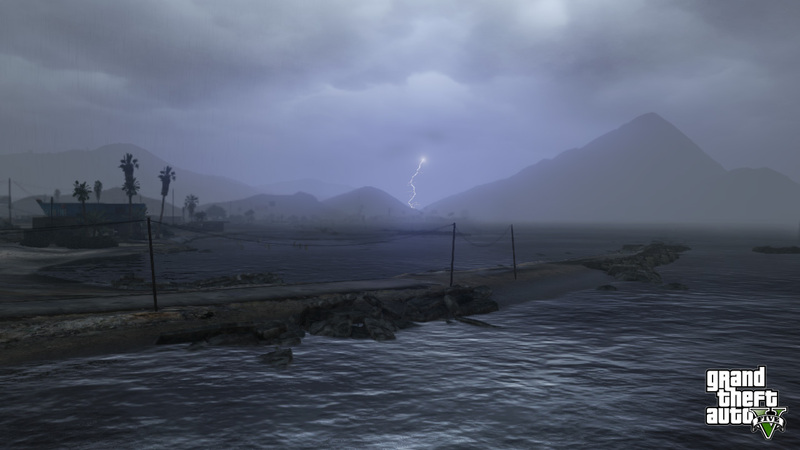 Also be sure to join the many discussions in the GTA 5 forums! Other retailers in the US, Canada, UK, and Australia are offering this bonus as well - again, while supplies last. Just dropped down cash on the limited edition guide only $22 bux (40% off) on amazon, pre-order away. it calms me down a little bit. Dude! GTA V will be released for PC. No doubt. We just have to wait. There's no that real GTA fun without "Keyboard+Mouse". After all this info R* is still silent about the PC version of the game but the IGN have also included the PC in their GTA V consoles list. What does this means?Do they know GTA V is going to release on PC? i wonder if east lossantos is in gta5 ? I always get the guides for gta games. Theres no way i would have found all the flying rats or gang tags without them. If you dont want spoilers dont read the mission pages, its sectioned off so as to avoid this. Its also a good read on the crapper. Why would someone pay for spoilers? I don't think the map will be bigger than Red Dead Redemption, Grand Theft Auto IV, and Grand Theft Auto: San Andreas combined. 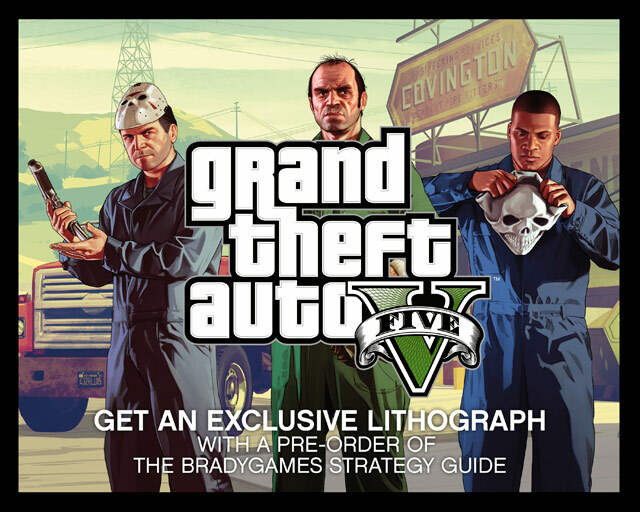 GameStop Exclusive Lithographs with Guide Pre-Orders - Pre-order the Brady Games Official GTA 5 Strategy Guide from GameStop and get an exclusive lithograph artwork.